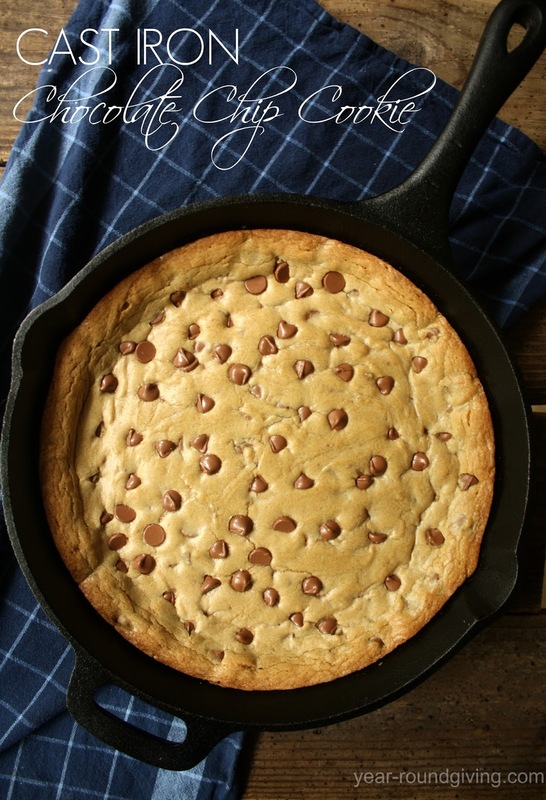 This Cast Iron Skillet Chocolate Chip Cookie is hot gooey cookie goodness. 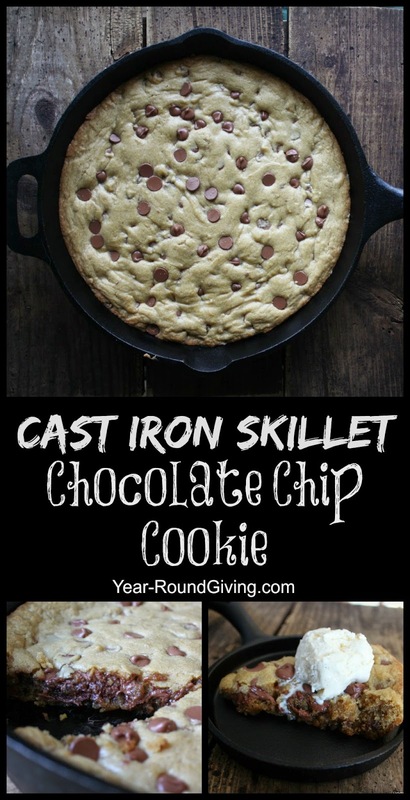 Seriously guys, if you love soft chocolate chip cookies, this is for you! The cookie stays super soft and doesn't harden even after a few days. Let's be honest, the only way this cookie is going to last more than 2 days is if you have some serious will power. We have none. My youngest son loves cookies. "Cookie" was actually one of his first words. His fourth birthday is coming up. I researched a pile of skillet cookie recipes to create my own special gooey cookie for him. I knocked it out of the park with the first try. Brandon, my husband, asked how hard this was to make? As soon as I said it was easy, he cut me off and told me I must make this once a week. Just writing this post I am wishing I had a slice of this cookie. 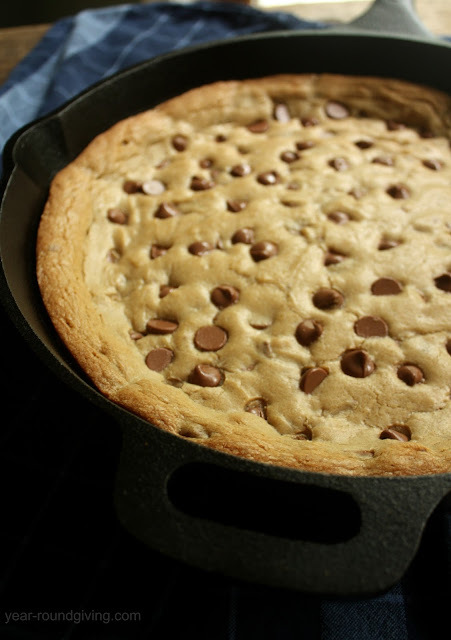 I don't think we will be making drop chocolate chip cookies for a long time now that this is in our life. When it is warm and gooey it is really good served a la mode. Butter a 12 inch cast iron skillet. Mix flour, baking soda, and salt in a mixing bowl and set aside. In another mixing bowl mix eggs, both sugars, vanilla, and butter together. Add the flour mixture into the wet ingredients and mix well. Set aside a handful of chocolate chips and mix in the rest of the chocolate chips into the mixture. Spread mixture evenly in the skillet. Spread the handful of chocolate chips on the top of the mixture and gently push them in. Bake at 375F. for 17 to 19 minutes. Let cool or grab a spoon and dig in immediately. For the love of food let's connect on social media! I promote I may make a small commission.